Steinway & Sons Model O #178880 was built in 1916 at the New York Steinway Factory. This fine piano is currently undergoing a full restoration. This will include a new spruce soundboard, a new hard maple pinblock, a fully rebuilt action with the finest parts and much more. The cabinet can be refinished in either mahogany or ebony depending on your preference. Photos show what the piano will look like once fully rebuilt in ebony. Pictured with an optional Jansen Artists Bench in genuine leather. Interested in learning more? Get in contact with us today. Steinway & Sons Model O #178880 was built in 1916 at the New York Steinway Factory. First introduced in 1900, the Model O measures approx. 5’10 1/2″ in length. These pianos were discontinued by Steinway New York in 1924 and were recently reintroduced in 2005. A common sight in both homes and institutions, these pianos bridge the gap between the smaller ‘baby’ and larger parlor style grand pianos built by Steinway. This piano is currently undergoing a full restoration process. A new solid spruce soundboard will be installed along with a new custom fitted maple pinblock. This will allow for the highest quality of tone and level of stability. The cast iron plate will be carefully re-bronzed and the raised plate lettering will be hand detailed. New premium music wire and custom copper wound bass strings will be coiled to blued German Klinke tuning pins. The piano’s action will be fully rebuilt with the finest quality parts. This will include new dimensionally correct wippens (repetitions) and new hammers, shanks, and flanges. Expert action regulation and tone regulation (voicing) will follow to ensure the very finest touch and tone. The action will be weighed off to concert specifications. 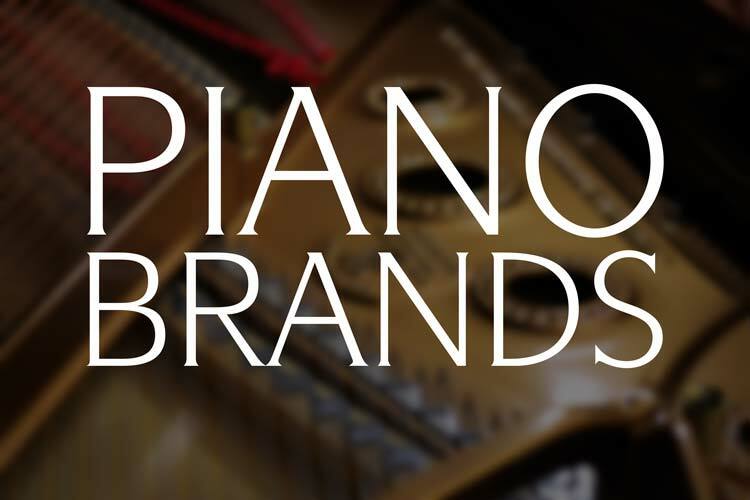 We spend many extra hours beyond the industry norm to bring each of our rebuilt pianos up to the highest performance standard. The traditional Sketch 380 Sheraton cabinet design rests on octagonal spade legs. It will be refinished in ebony with multiple coats of premiere nitrocellulose lacquer. This full filled finish will be hand rubbed to a beautiful satin sheen. The original nickel hardware will be replated and a matching fallboard decal will be affixed to the front. This piano will be a stunning combination of both visual and acoustic beauty. Interested in learning more about this piano and our fine restoration work? Get in touch with us today with any questions you may have. Pre-WWII Steinway Grand Pianos were built during what many consider to be the ‘golden age.’ Some of the finest pianos ever manufactured were built during this period. Artists and Steinway aficionados continue to prefer these beautifully restored instruments. 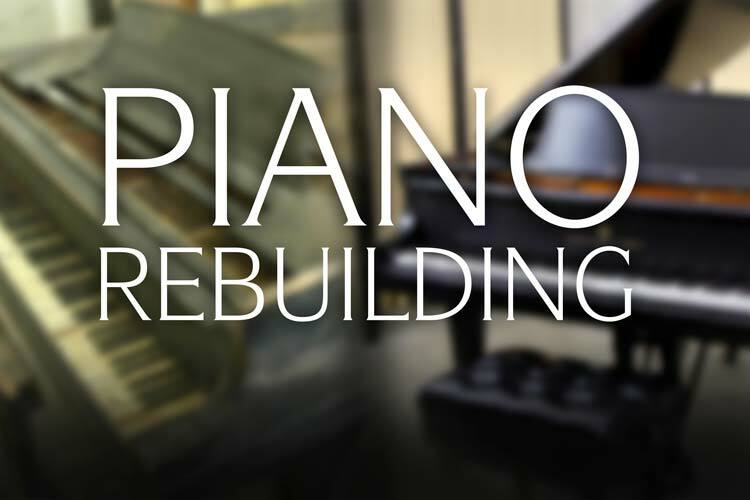 Founded in 1975 by Master Piano Technician Dennis Chupp, Chupp’s Piano Service, Inc. proudly specializes in the fine rebuilding of vintage grand pianos. With a focus on the piano as a musical instrument foremost in mind, we spend many extra hours beyond the norm completing fine action and tone regulation. These processes ensure that our vintage restored pianos perform at the level expected of even the most discriminating artist. 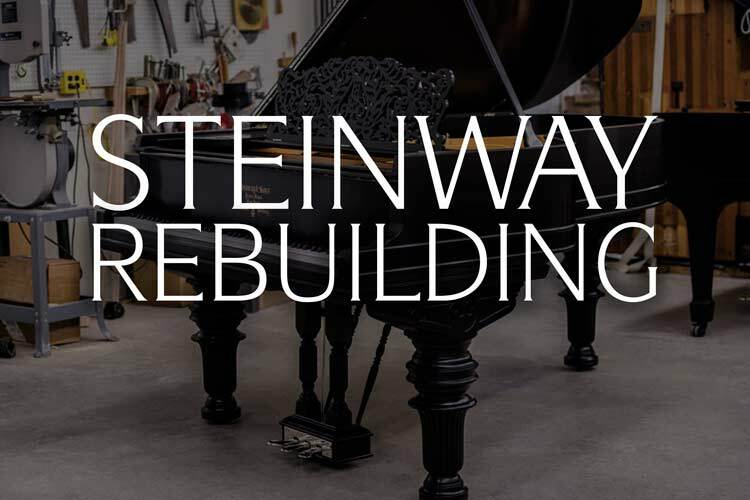 Over our four decades in the rebuilding industry, we have rebuilt and restored many Steinway, Mason & Hamlin and other brands of grand pianos for many concert artists, venues, and pianists around the country. 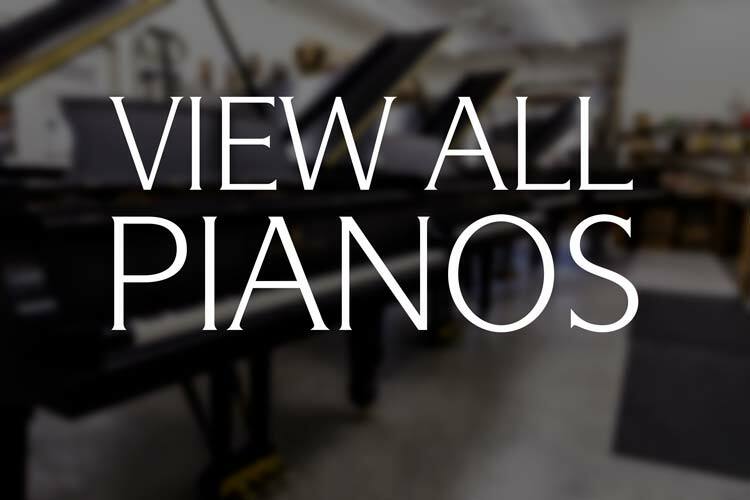 We understand the nuances and exacting precision needed to ensure a piano that is truly tailor-made for your tastes and playing preferences. 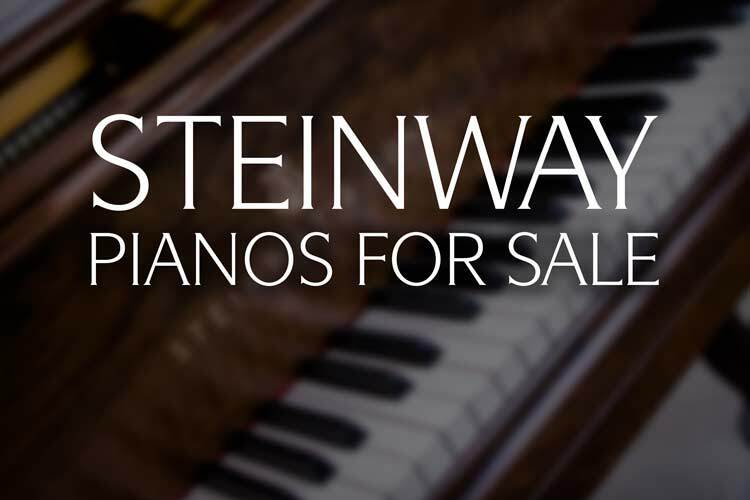 Get in contact with us about this Steinway Model O Grand Piano by using the form below or calling 1-574-831-5820. This Steinway & Sons Model B Grand Piano is in a Louis XV Rococo case style. The art case cabinet is in a gorgeous Circassian walnut with a stunning grain detail. Built during the golden era of Steinway Factory quality, this rare 6'11" instrument has undergone an extensive restoration process. Featuring a stunning art case cabinet, the original Steinway Factory soundboard, reconditioned pinblock and a fully rebuilt action utilizing Genuine Steinway Hammers. The piano's action has been fully regulated and concert level tone regulation has been performed. This piano truly is a work of art both visually and as a world-class musical instrument. This piano has been sold to a private client in Dubai, UAE. Seeking a similar piano? Click here. Steinway Model A3 Grand Pianos have long been considered to feature one of the finest scale designs ever crafted by the Steinway & Sons company. Steinway Model A3 #188826 was built in 1917, during the height of the golden era of the piano industry. This 6' 4 1/2" 'Stretch A' features a very rare and unique Quarter Sawn Oak cabinet. This instrument has been fully rebuilt to top concert standards with a new solid spruce soundboard, custom fitted pinblock, German Renner action parts and much more. It is a simply stunning instrument and it is ready to play in our facility today. Steinway Model A3 #188826 is one of three exceptionally rare instruments featuring Quartersawn Oak that we have or are in the process of having fully rebuilt. Have questions? Get in contact with us today! This piano has been sold to a client in Marysville, Ohio. Mason & Hamlin Model BB Grand Piano #36328 was built in 1927. Measuring just under seven feet in length this semi-concert grand piano is in very good original condition. Larger than the comparable Steinway Model B, this grand piano is a lasting example of American piano quality. Pictured with an optional Jansen Artist Bench. After evaluating this instrument, we have selected this piano for a full restoration. Post-restoration price is pending. Contact us today for more about this instrument. Mason & Hamlin Model AA #41019 was built in 1931 at the company’s factory in Boston. Measuring 6’2″ in length, this instrument is a living example of ‘golden age’ piano craftsmanship. Featuring an expertly refinished ebony cabinet, a fully rebuilt action, and the original factory soundboard, this instrument features a full, powerful tone and a responsive touch. This piano is one of several concert level Mason & Hamlin Grands we have available today and has been fully restored. Pictured with an optional Jansen Leather Artist Bench. Give us a call at 888-831-5820 for additional information. This piano has been sold to a client in Michigan. Crafted in 1925 at the New York Steinway factory, Steinway & Sons Model B #237578 measures 6'11" in length. This ‘music room grand' piano features a Steinway Factory soundboard and pinblock in phenomenal condition. This piano is currently undergoing a full restoration which will include a fully rebuilt action, a refinished cabinet and so much more. This piano is pictured with an optional artists bench. (We recommend the purchase of a premium quality adjustable bench by Jansen.) Contact us today for additional information. Error: Error validating access token: Session has expired on Thursday, 10-Jan-19 19:00:02 PST. The current time is Wednesday, 24-Apr-19 20:50:27 PDT.